The 12-5 upset is one of the most popular March Madness picks each year, and for good reason. It's happened quite a few times since the NCAA tournament field expanded in 1985. Most recently, Middle Tennessee defeated Minnesota in 2017. Here's everything you need to know about 12 seeds vs. 5 seeds in March Madness. MARCH MADNESS GUIDE: What is the selection committee, and who's on it? There have been 47 12-5 upsets since the NCAA tournament field expanded in 1985. That means 12 seeds hold a 47-89 record against 5s, which equates to a 34.56 win percentage. Here are all of the times it's ever happened. In 29 of the last 34 years, the 12 seed has won at least one first round game for a total record of 47-89 against the 5 seed. The only exceptions were in 1988, 2000, 2007, 2015 and 2018. The lower seed is 19-27 in games decided by four points or fewer. Two of those close wins came in 2016, as No. 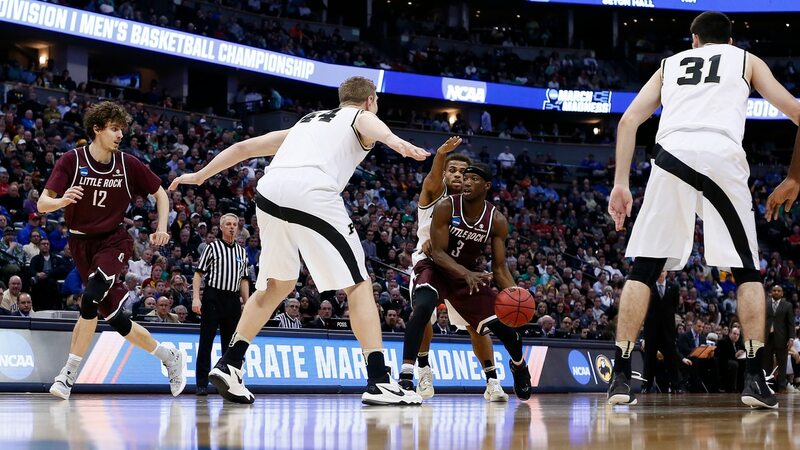 12 Little Rock knocked Purdue out of the first round with a 85-83 win and No. 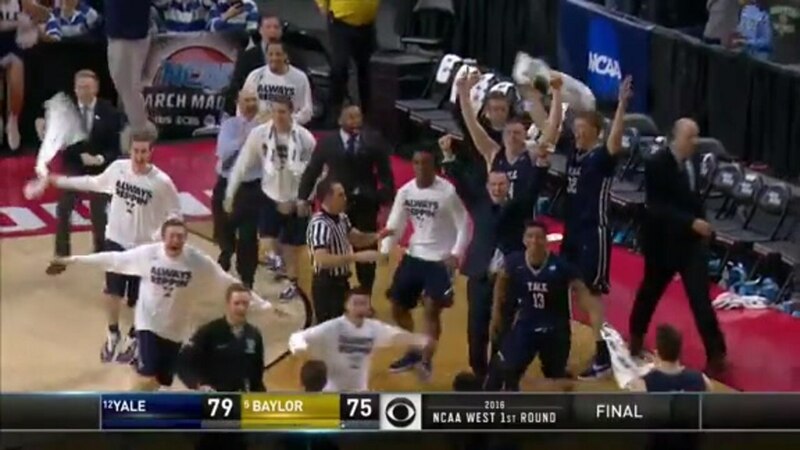 12 Yale took down Baylor 79-74. In 2017, No. 5 Notre Dame held off No. 12 Princeton, 60-58. While more than 50 percent of the 12-seeds who won in the first round fail to advance past the second round (including those Little Rock, Yale and Middle Tennessee teams), 18 of the 47 teams have indeed made it it to Sweet 16. Utah State, who has been the No. 12 seed a record five times, is only 1-4 against No. 5 seeds. Its lone win came in 2001 against Ohio State. Three of the last five 12-5 upsets have gone to overtime. How much more likely is a 12-5 upset than a 13-4 upset? Twenty-eight 13 seeds have upset 4 seeds since the NCAA tournament field expanded in 1985, giving them a 28-108 record all-time. That equates to a 20.59 winning percentage, so it's 13.97 less likely to occur than a 12-5. Here are all of the times a 13 seed has upset a 4. How much more likely is an 11-6 upset than a 12-5 upset? Fifty-one 11 seeds have upset 6 seeds since 1985, so it's only happened four more times than the 12-5 upset. An 11-6 upset is 2.94 percent more likely to occur than a 12-5 upset. Here are some highlights from the 12-5 upsets that have happened lately. 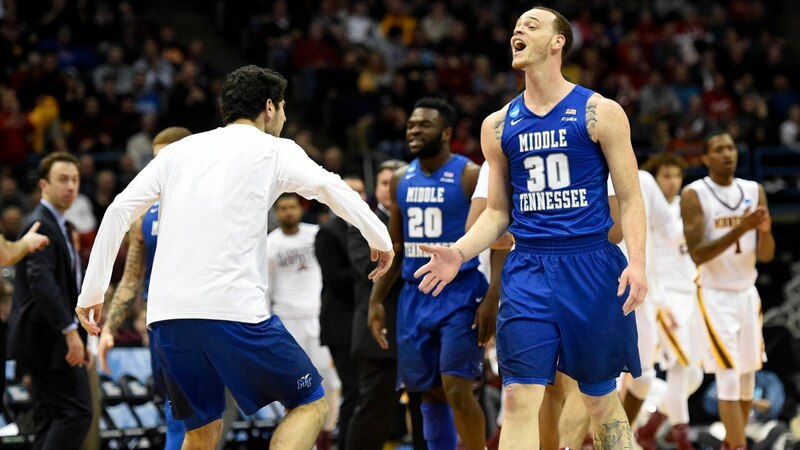 Middle Tennessee won as the lower seed for the second straight year when it took down Minnesota in 2017. Yale needed two overtimes, but it upset Baylor in dramatic fashion in 2016. Little Rock shocked Purdue in that same year, eking out a 79-75 win.